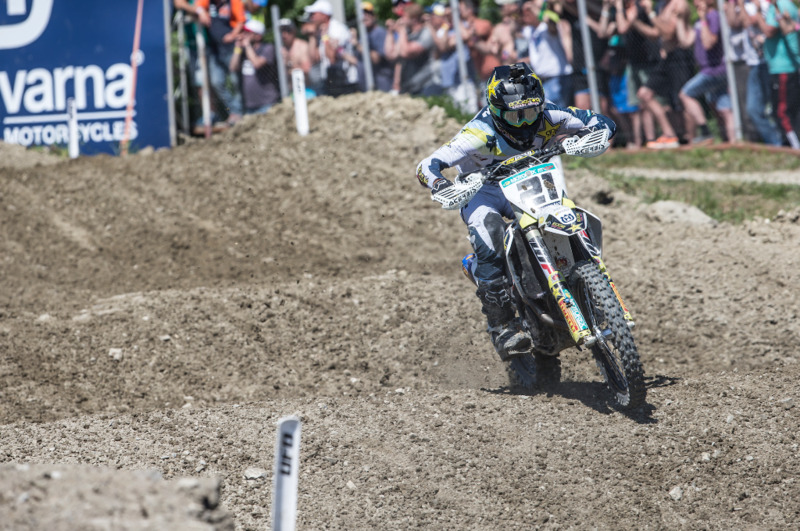 As the MX Tour winds down to its final races of the season, Round 8 made its stop in the “la belle” province of Quebec. The Deschambault Motocross facility is located 50km Southwest of the historic Quebec City. A rough sand track with a clay base, mixed with the humidity of the East coast, the Deschambault track quickly becomes demanding on the riders. The Honda Canada/GDR/Fox Racing team was holding the MX1 series leading red plate and hoped to extend that points lead heading into the final round of the season. 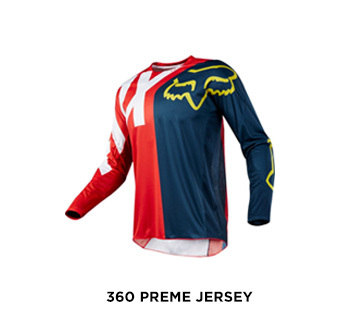 Debuting the Fox MX19 Honda Colab 180 racewear, the team had nothing but red on their mind. The forecast for the day was cool and damp in the morning but clouds quickly evaporated and the blazing sun came out with heavy humidity. No stranger to the Deschambault track, MX2 rider Dylan Wright has claimed numerous regional Amateur titles here early in his career. Expecting nothing less than a victory, Dylan qualified for the day in 2nd position. In Moto #1, Wright took advantage of his good start and made quick work in the early laps moving himself into the lead position by lap five. Putting his head down, Dylan rode solid laps all the way to the checkers taking the moto win. In Moto #2, Wright went down with rider on the opening lap which left him in 28th position. 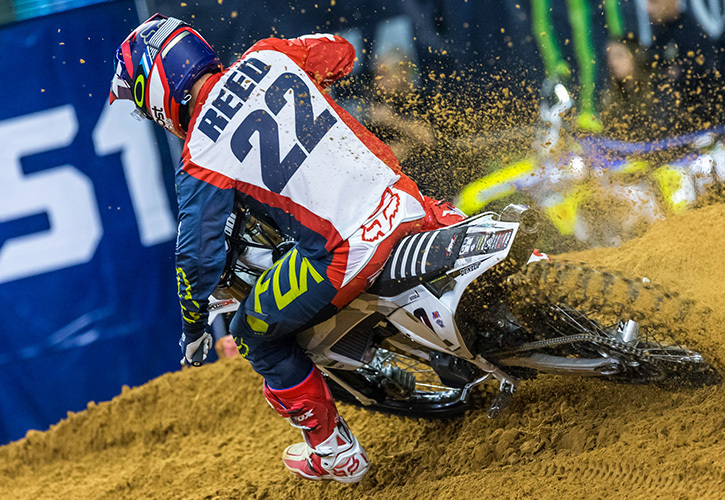 Passing eighteen riders in three laps, Wright was on a mission to salvage a podium finish. Advancing into the top five at the halfway point of the race, that was the best Dylan could do but it was enough to secure him 3rd overall on the day. With the Championship pressure rising and the series begins closing, MX1 rider and 4-time champion, Colton Facciotti is no stranger to the task at hand. Qualifying the day in pole position, Facciotti was looking comfortable on track and was the man to beat. In Moto # 1, Facciotti rode patiently in the top-five lead pack, waiting to strike, but as he made his move into the third position, he slid out on an uphill section and remounted in seventh place while the lead pack took off. Only able to take back one position before the finish, Colton finished the moto in 6th place. In Moto #2, a frustrated Facciotti took the lead on the opening lap and never looked back claiming the moto win and salvaged valuable Championship points to earn his fifth podium finish of the season. Losing only 4 points in his Championship lead, Facciotti remains in the drivers seat with a 22 point lead and still holds the red plate heading into the final race of the season. The ninth and final stop of the MX Tour concludes at the Walton Raceway. A track that has unparalleled history of crowning champions, the natural rolling hills and wide sweeping corners make for multiple race lines and fast racing! 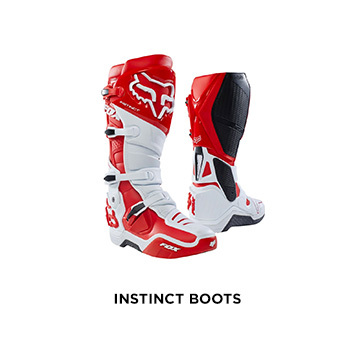 At Round 9 at Walton Raceway the Honda Canada/GDR/Fox Racing team will be showcasing the MX19 Kila 360 racewear with MVRS helmet and Instinct boot. The MX Tour made it’s annual stop in the coastal Atlantic region for Round 7 of the Rockstar Energy Triple Crown series. The Riverglade MX Park, otherwise known as “The Glade” is located in Moncton New Brunswick, directly parallel the busiest road in Canada, The Transcanada Highway. Nearing the end of the series, the race action at The Glade is always critical to the outcome of the Championships. Round 7 was special for the Honda Canada/GDR/Fox Racing team as they made the new MX19 Fox Racewear debut for fans to get an early look at the new line. Although he is out of Championship contention, MX2 rider Dylan Wright continues to race for wins and has two overall victories to his name this year. Looking to build off those, Dylan’s never give up riding style has been exciting to watch and leaves you on the edge of your seat every moto. 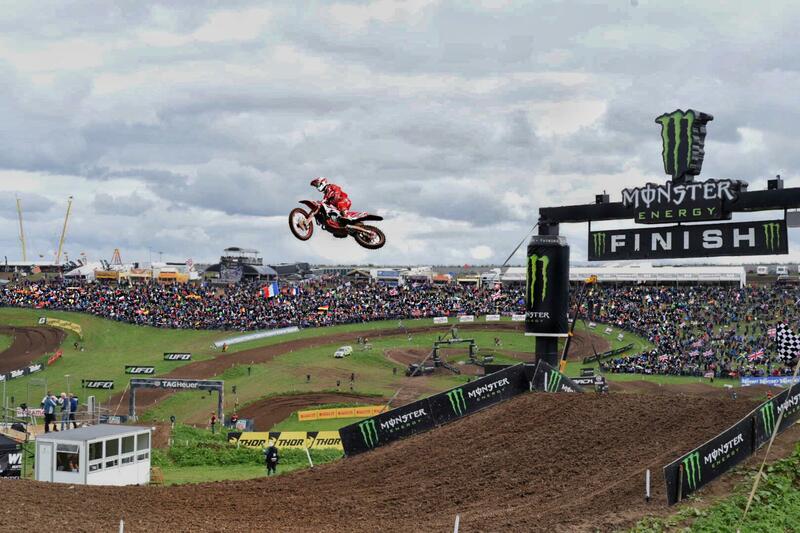 In Moto 1, Dylan had a late jump off the start which left him starting the race in 10th position. Putting his head down and working his way through the pack, Wright secured the 5th place position in the closing laps. In Moto 2, Dylan started the race with the lead pack of riders in 4th place. Staying on pace, Dylan remained patient before making his move into the 3rd place position, but then disaster struck in the following corner when a lapper cut into his line and caused him to crash dropping him back down to 4th place where he finished the race and closed his day with a 5th overall. As the MX tour winds down to the final races of the season, MX2 rider Colton Facciotti has his sights set on his fourth Canadian MX Championship. A healthy 25 point lead coming into Round 7, Facciotti’s goal was to protect that lead with consistency. Qualifying in 1st place, Facciotti rolled into Moto 1 with confidence. Getting the early lead on lap one, Colton checked out and lead every lap of the race for the win. In Moto 2, Facciotti tipped over on the opening lap and was forced to battle back to salvage points. With one lap remaining, Colton moved into the 6th place position and was in a four-way tie for the lead. Facciotti was now one position away from clinching himself his fourth overall win of the season, but was unable to make the pass on the last lap finishing 6th for a 4th overall on the day. No damage was done to his points lead, and Colton walked away increasing his series lead by 1 more point. The next stop of the MX Tour is “la belle province” of Quebec at Deschambault. The track is located near Quebec City and the eastern humidity is always a factor. A full sand based track with natural terrain gets rough, whooped out and grueling on the riders. 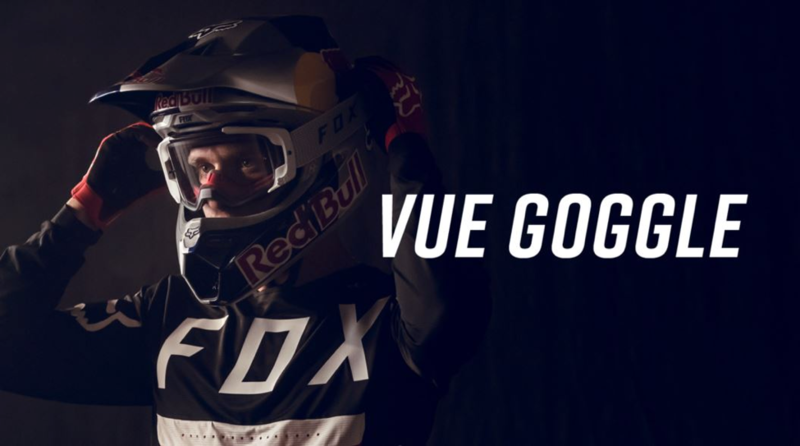 At Round 8 in Deschambault, QC the Honda Canada/GDR/Fox Racing team will be showcasing the Honda collab racewear with MVRS helmet and Instinct boot. The hometown race for the team at Gopher Dunes is always a special one. The fans come rain or shine and fill the facility to cheer on the local Honda Canada/GDR/Fox Racing team which is based out of the facility. The race team treats the fans to a special edition race bike each season and this year’s bike didn’t disappoint, a 1992 Pro Circuit/Peak Honda replica. With his training program now based out of the Gopher Dunes facility this season, Dylan Wright had big expectations to race for his third victory of the season. But the all new layout at The Dunes wasn’t forgiving and made struggles for everyone. In Moto 1, Dylan had a bad jump with his start and went down in the pack on lap one. Coming around lap one in 9th place, Dylan worked his way into 3rd place by the finish. In Moto 2, Dylan got an even worse start and went down again, starting lap one in 32nd place he had to battle back to 6th place, giving him 4th overall on the day. With the series leading red plate in his possession, Colton Facciotti is aiming for consistency to ride out his season with podium finishes. Now his home base as well, Facciotti makes the rough track of Gopher Dunes look buttery smooth at times. In Moto 1, Colton led the opening laps before settling back into the 3rd place position for the remaining sixteen laps. In Moto 2, Facciotti again started up front and battled in the lead pack until lap six, where he would settle back into the 3rd place position for the remaining eleven laps. Another consistent overall podium finish for Facciotti extending his points lead to 25 points with three races remaining. At Round 7 in Riverglade, the Honda Canada/GDR/Fox Racing team will be showcasing Fox Racing MX19 product for the first time of the season for public viewing – Stay tuned for your first look at it in race action! Only a few kilometres from the central business district of Calgary, Alberta, the Red Bull Rocks and Logs course at the Wild Rose Motocross facility once again reshaped itself for another epic urban enduro battle. Endurocross style features, outdoor elements and downtown city scape views make this a unique and exciting race. Up and coming Hard Enduro racer, Manuel Lettenbichler from Germany took the flight from Munich to Calgary to test his endurocross skills against some other international competition. Fresh off a recent podium at the infamous Erzberg Rodeo, Manuel adapted to the track quickly. In a three-main event format, riders had the opportunity to use consistency to their advantage. Lettenbichler’s sprint speed and consistency allowed him to sweep all three Main Events for his first Rocks and Logs title. “it was such a pleasure to come here to Canada and race this awesome event. It was a lot of fun vibes but the racing was still challenging physically.” – Manuel Lettenbichler. 2018 Red Bull Rocks and Logs winner. In the Pro Womens category, past winner and Calgary local, Lexi Pechout lined up for her first major race of the season. 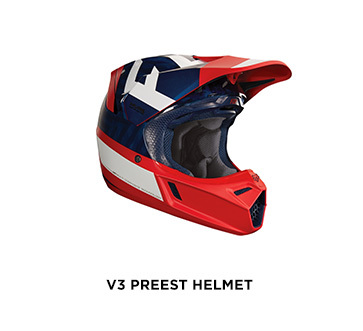 A one-moto format would leave the women no room for errors if wanting the victory. Lexi rode a solid Main Event, battling for second place but couldn’t make the pass happen and had to settle for a 3rd place finish. The final MX Tour race in the West was held at the McNabb Valley Raceway. Located in the heart of the Manitoba Prairies, the perfectly manicured facility is surrounded by canola and wheat fields. The usually baked hard clay track was disked to perfection and created deep ruts with multiple race lines throughout the day. The Honda Canada/GDR/Fox Racing team was coming into Round 4 with the MX1 points leading Red Plate and a fresh MX2 1-1 victory sweep the race prior. The early season struggles seemed to have been gone for Dylan Wright after a convincing 1-1 victory sweep at Round 3 in Prince George, BC. Qualifying his day in fourth, Wright was on track for another podium challenge and battled hard with the series leader in Moto 1, but had to settle for a 2nd place finish. In Moto 2, Dylan was again battling for the lead position until his bike unfortunately expired due to a mechanical with three laps remaining. This scored Dylan a 2-DNF for 12th overall, and now shuffles him back to 7th overall in the MX2 Triple Crown series. Colton Facciotti has been leading the MX1 series since the opening round of the MX Tour and with a break in the series coming up after Round 4, leaving with the Red Plate is the main focus. Colton qualified the day in the 1st place position but small mistakes during the moto’s would keep him off the podium in Manitoba. Scoring 5-4 for 4th Overall, Facciotti will now lose some ground on the points lead he’s created and is now tied for the Series lead, Sharing the Red Plate honors at Round 5 in the East. The series will now take a break and resume in the East at Sand Del Lee Raceway on July 7th. The track is located 45 mins from the Country’s capital city of Ottawa, Ontario. A clay base track with sand surface, the SDL track always ends up with rutted jump faces and deep choppy breaking bumps that are punishing to the riders, always creating some of the best racing of the year. Here is a look at what the Honda Canada/GDR/Fox Racing team will be showcasing at Round 5 of the Rockstar Energy Triple Crown MX Tour at Sand Del Lee Raceway in Ottawa, Ontario. With the 2018 MX Tour in full swing, the Championship battles are beginning to intensify. The forecast of rain at Round 3 in Prince George, BC would become a factor in the track conditions and ultimately, the weekend’s race results. MX1 Series Points Leader, Colton Facciotti is in control of the Red Plate while MX2 teammate, Dylan Wright was still waiting for his breakout ride so that he could begin minimizing the points deficit created during the opening races. After struggling with mechanical failures that were out of his control, Dylan Wright continued to stay focused and put in solid moto’s when he could in effort to salvage valuable points. Wright has shown the speed to win, but has been unable to connect two moto’s together to solidify himself a podium result. Logging a 5th place qualifying time in the mud, Dylan was poised to capitalize on the track conditions during the races. In Moto 1, Wright rounded the first corner in second place and remained patient until lap nine where he made the pass for the lead and rode in for the win. In Moto 2, Wright grabbed the Royal Distributing holeshot and checked out for another moto win, securing himself a very convincing 1-1 victory. With Momentum on his side, Colton Facciotti is the man to beat thus far. Carrying the Red Plate into Round 3, Facciotti started his day off slower than usual with a seventh-place qualifying time. In Moto 1, Colton had two crashes and had to fight his way from tenth into seventh place by the end of the moto. In Moto 2, Facciotti would again have another tip over while in the third place position, dropping him back to seventh where he would finish the race. The MX Tour will now make its first visit to the McNabb Valley raceway in Minedossa, Manitoba. Located in the heart of the Canadian Prairies, the natural terrain of the McNabb Valley creates great racing lines with high speeds. Here is a look at what the Honda Canada/GDR/Fox Racing team will be showcasing at Round 4 of the Rockstar Energy Triple Crown MX Tour in Minedossa, Manitoba. The MX Tour arrived at Popkum Motorsport Park for Round 2 of the Triple Crown Series. The venue has been a regular pit-stop for many pros to practice throughout the season, but this year, the facility hosted their first Pro National race. Located 100km East of Downtown Vancouver, the Popkum track is nestled in the mountains of Interior British Columbia alongside the TransCanada Hwy in the beautiful Fraser Valley. Starting the day on pace with a second place qualifying time, Dylan Wright was looking to score his first podium of the year. In Moto 1, Wright didn’t get the start he needed to sprint away from the pack and had to put his head down to charge back from 7th place. By lap eleven, Wright had advanced himself into the 4th place position where he rode for the remaining five laps. In Moto 2, Wright unfortunately had a rock puncture his radiator while in the 4th place position and was forced to retire from the race, resulting in a DNF. Dylan now has his work cut out for him to reduce the 73 point deficit he now faces. After a dominant victory at Round 1, Facciotti had all eyes on him coming into Round 2. Setting the fastest lap time during qualifiers, Colton was on par to be the man of the day yet again. In Moto 1, Facciotti was upfront in the top 5 and worked his way into the 2nd place position by lap eleven where he would finish out the race. In Moto 2, Colt got the Royal Distributing Holeshot award and never backed down leading every lap on the way to his second overall victory of the season. Facciotti will continue to hold the points leading red plate going into round 3 with a 21 point lead. “things are really clicking at the moment and I keep putting my Honda up front during the starts so we’ll just try to stay as consistent as possible and make less work formyself in the moto’s.” – Colton Facciotti – MX1 series points leader. The GDR Team had a fellow Honda rider from the British MX Championship join the crew for Round 2 of the Canadian MX Championship. Jake Nicholls dropped into the MX Tour during an off-weekend from his series and turned some heads by qualifying in 2nd place. In Moto 1, Nicholls started the race outside of the top 10 but rode consistent laps and patiently passed his way into 6th place by the end of the moto. In Moto 2, Nicholl’s blasted off the start in 2nd place right behind teammate Facciotti and would trail the series points leader all the way to the final lap giving him a respectable 3rd overall on the day. Jake now returns to the UK to finish out the remainder of his British Championship campaign. I’m thrilled with how my visit to Canada was. The racing was proper and the fans were very friendly…and of course getting a podium finish made it sweet” – Jake Nicholls MX1 British Championship points leader. The MX Tour now moves to Prince George, BC at the Blackwater MX track where MX1 rider, Colton Facciotti will continue pushing in hopes of increasing his Triple Crown points lead and MX2 rider, Dylan Wright will be looking for redemption. Here is a look at what the Honda Canada/GDR/Fox Racing team will be showcasing at Round 3 of the Rockstar Energy Triple Crown MX Tour in Prince George, BC. Racing in the great outdoors is always the most anticipated time of the year – months of training and hours of bike preparation all put to the test for the first time for all to see. For riders, it’s excitement of putting their physical conditioning to the test and for the mechanics, it’s the stress of every detail that needed to be covered for the machine to perform at optimal levels. Dylan Wright was coming into the MX18 season more focused than ever before. An entire off-season training with veteran champion & teammate Colton Facciotti has put Dylan into a more mature mind set. Setting the second fastest lap-time during qualifying, Wright was on pace for a good start to his season. In Moto 1, after a good jump off the concrete start pad, Wright was riding in a comfortable 2nd place before a rock punctured his engine case, draining the oil from the bike and expiring the engine. In Moto 2, Wright needed to perform some damage control with his results and salvage whatever points he could without throwing more away. Dylan went on to finish a solid 5th place, scoring him 40-5 for a 22nd overall. Calm and collected, Colton Facciotti always quietly puts in work during the off-season and then lets the riding do the talking. After setting the fastest qualifying time, Facciotti was poised to be the man of the day. Having had some of his best races at the Wild Rose MX track, Colton looked comfortable with his precise throttle control on the hard packed surface. In Moto 1, Facciotti got a top five start and quickly made work of the lead pack and advance into the first place position by lap two and then never looked back until the checkers. In Moto 2, Facciotti put in another convincing performance, getting the Royal Distributing holeshot and leading every lap while pulling a 45 second lead into the finish. A dominant 1-1 victory sweep is exactly what Facciotti needed to kick start his run at the $100,000 Triple Crown title this summer. The MX Tour now heads into Popkum Motorsport park for Round 2. The venue has been a regular pit-stop for many pros to practice at, but this year, it will host its first Pro National. Located 100km East of Downtown Vancouver, the Popkum track is nestled in the mountains of Interior British Columbia along the TransCanada Hwy. 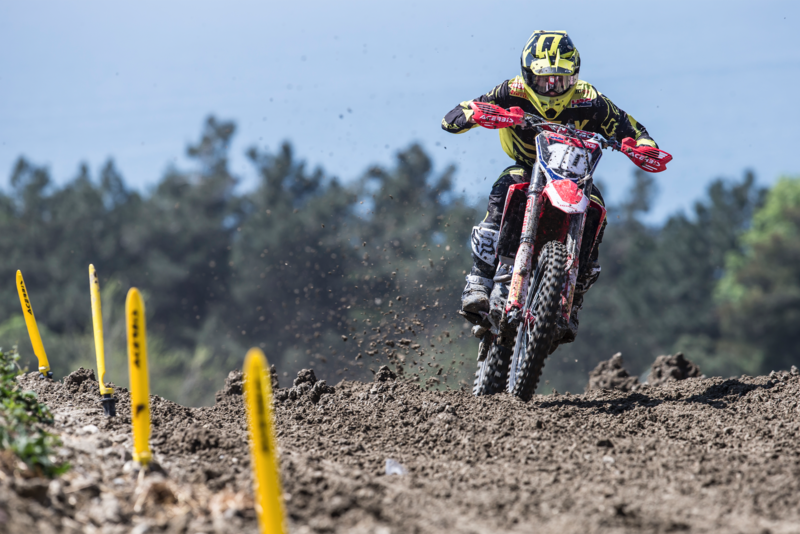 Expect exciting racing this coming weekend as the Honda Canada/GDR/Fox Racing team will be bringing British GP rider, Jake Nicholls into the race for a guest appearance in the MX1 class alongside Colton Facciotti. Here is a look at what the Honda Canada/GDR/Fox Racing team will be showcasing at Round 2 of the Rockstar Energy Triple Crown MX Tour. 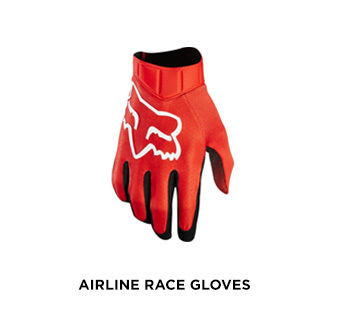 For over 4 decades, Fox Racing has been the global leader in motocross and mountain biking gear and apparel. 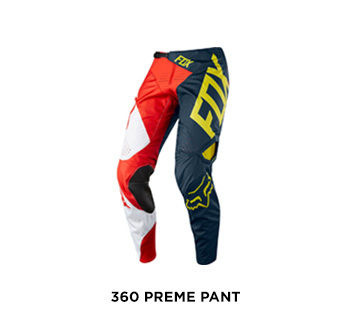 Fox outfits the world’s best competitive action sport athletes and enthusiasts with products that combine innovation and style, rooted in the brand’s original competitive motocross spirit. The company is based in Irvine, California, with offices, retail stores, and an international roster of sponsored athletes, located around the world. The 2017 season was challenging at times for the GDR/Honda team but when the final checkers came out, both riders respectably finished the season strong on the overall podium. Team rookie Dylan Wright started the season off pace from expectations but after shaking the struggles near the halfway point of the series, Dylan began fighting for race wins and eventually advanced himself into 2nd place overall. Team veteran Colton Facciotti was calculated and consistent from the opening race with the exception of a mid-season illness that slowed him down for several weekends costing valuable points. Facciotti was a threat every weekend and delivered two overall victories on his way to a 3rd place overall finish. "This was definitely a season that I learned from. The way the season started out was challenging for sure and something that we all learned from and worked through. When things started coming back around, it was rewarding for everyone and we just kept building the momentum every weekend until the final moto of the year." - Dylan Wright. Round 10 of the Rockstar Energy Canadian Motocross Nationals held its final race of the season in Barrie, ON. With both titles just out of reach, the GDR Honda team came into the last race of the season with hopes of ending their season with podium finishes. Putting in a determined comeback after a slow start to his season, MX2 rider Dylan Wright worked his way back into the top three of the series points heading into the final race of the year. With his never give up attitude, Dylan put in a strong end to the season finishing 4th in Moto 1 and taking a convincing win in Moto 2 giving him 2nd overall on the day and advancing him into 2nd place Overall in the 2017 MX2 Championship. With the MX1 Championship just out of reach coming into Round 10, Colton Facciotti lined up looking for his third victory of the season to wrap up the year. In Moto 1, Colt took the win extending his streak to three in a row but wasn't able to keep it going in Moto 2 finishing 4th giving him a 2nd overall finish at Round 10 to close out his season. 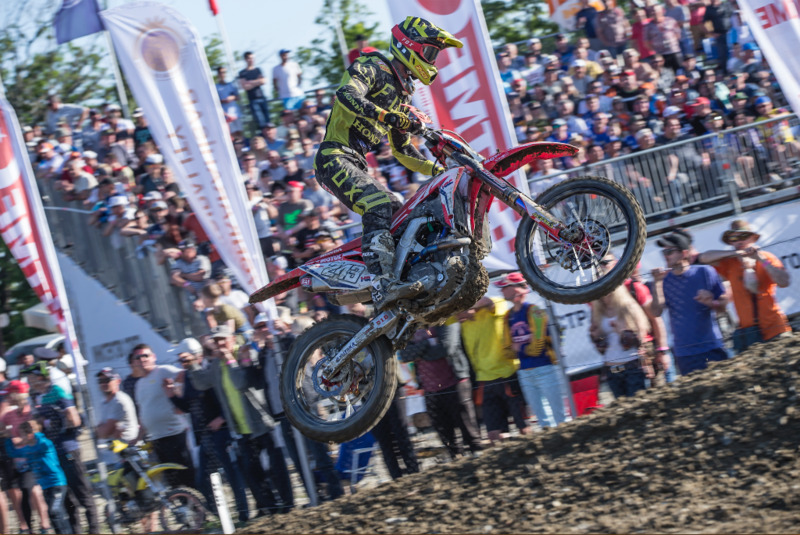 Consistent and smooth all season long, Facciotti ended his 2017 season 3rd Overall in the 2017 MX1 Championship points. A big shout out to the 2017 MX1 & MX2 Champions and podium finishers who left it all out on the track and battled bar to bar all season long fighting for the top spot - see you all at the races in 2018! With Championship pressure reaching peak heights, every moto has become more pivotal in the title chases. In the days leading into the race, the rain came down in heavy amounts which proved to be a wild card element that would be a factor all day long. With four Overall podium finishes in a row, Dylan Wright was looking to keep his streak alive at round 9. Starting the day with a 3rd place qualifying time, things were look optimistic in the muddy conditions. Once the gate dropped for the Moto's, Wright struggled with first lap crashes in both moto's and was forced to navigate his way back through the pack to salvage 14-8 Moto scores for a 9th place finish. When track conditions are as brutal as they were, getting the holeshot is imperative to contend for the win. Facciotti rocketed out of the gate in both Motos, grabbing the Royal Distributing holeshot award in Moto 1 and narrowly missing it in Moto 2. 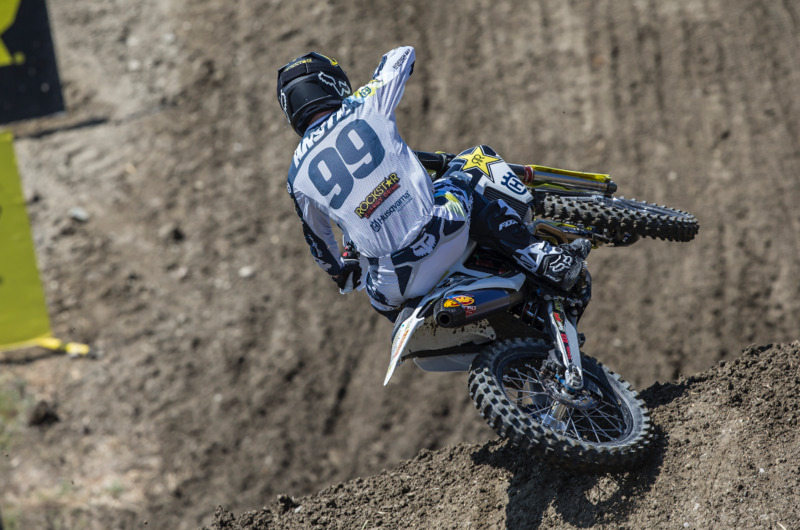 Facciotti would lead every lap of the day on his way to a 1-1 sweep for his second MX1 Overall victory of the season. The pride and joy of the Atlantic Motocross community is the Riverglade MX Park in Moncton, NB. 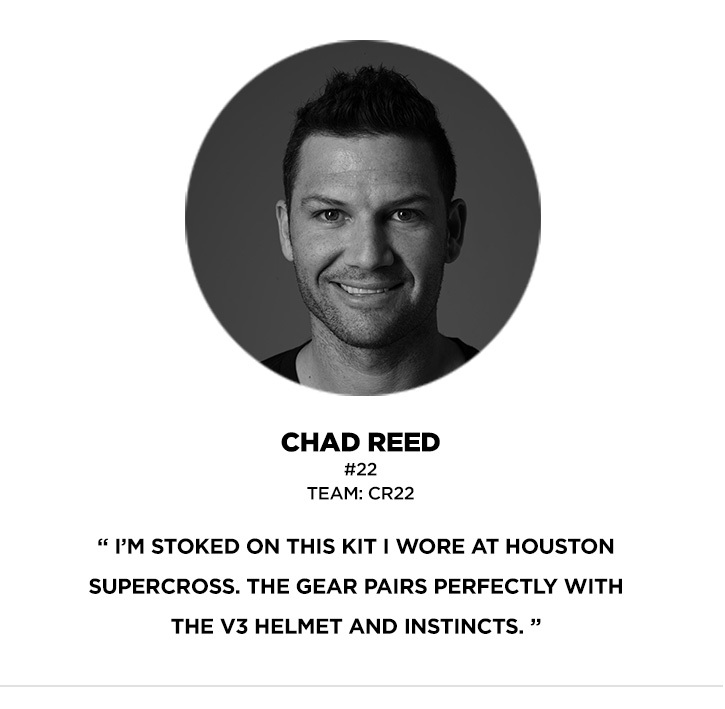 The 'Glade has natural flowing terrain, big jumps and tacky hard packed soil that ruts up on race day. It's the second and final stop in the Atlantic region and always brings out some of the largest spectator numbers. Round 6 of the Rockstar Energy Canadian Motocross Nationals moved East for its first of two stops in Quebec. The Notre-dame-du-bon-conseil track hosted its first National event and had fans lining the fences to watch sandy track get rough and rutted. The Honda Canada/GDR/Fox Racing Team has been working hard on all the details to build and keep their podium momentum in the East. Coming into Round 6 with two podium finishes in a row, Wright is back on track as a contender for win's. In Moto 1, Dylan got a top 5 start and quickly moved into 3rd place where he would ride it out until the finish but after the dust settled, a penalized rider would advance him into the 2nd place position. In Moto 2, Wright got another top 5 start and battled in the lead pack for the entire race and eventually got his way around into 3rd place on the closing laps giving him his third Overall Podium finish in a row. Dylan is now 5th Overall in the MX2 Series Points. Putting in his best ride of the season at Round 5 the prior weekend, Colton Facciotti made a statement that he'll be making a serious run at the Championship in the East. In Moto 1, Facciotti rocketed out of the gate winning the Royal Distributing Holeshot award and then went on to lead every lap of the race for the win. In Moto 2, Facciotti narrowly missed the Holeshot award and was shuffled back to 5th place. After making a pass for the 3rd place position at the mid-way point of the race, that was enough points to secure Facciotti the Overall Victory on the day. Colton is now 3rd in the MX1 Championship series points heading into Round 7 in Truro, NS. 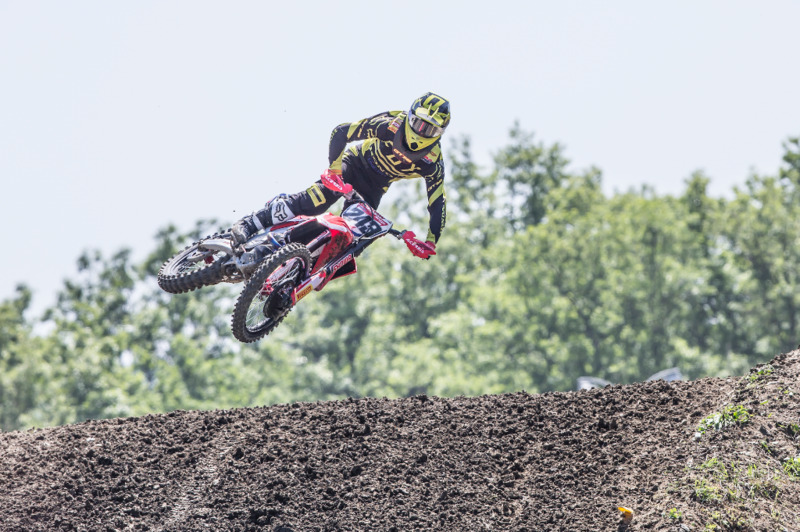 The Honda Canada/GDR/Fox Racing Team made it's way back to their home base of Gopher Dunes for Round 5 of the Rockstar Energy Canadian Motocross Nationals. Notoriously known as the roughest track of the series, the GDR team was prepared for battle on home turf. With momentum on his side from a podium finish the previous weekend, Dylan Wright looked comfortable right away during qualifying and seeded himself in 3rd. In Moto 1, Wright got a top 10 start and quickly moved his way into the top five where he then charge into 2nd place on the closing laps of the race. In Moto 2, Wright went down hard challenging for the lead but would remount and charge back to 4th place securing himseld another Overall podium finish. Coming into The Dunes with a lingering illness, Facciotti's weekend was a little extra challenging to push through. Qualifying in 3rd place and lining up to Moto 1 with some added confidence, Facciotti narrowly missed the holeshot but quickly took advantage of a mistake by the leader handing him the lead. Colton went on to lead wire-to-wire winning his first moto the season. Severely exhausted and dehydrated, Facciotti put in all that he could in Moto 2 finishing 8th. Grueling it out like a true Champ, Colton now sits 3rd overall in the Championship points chase heading into Round 6 of 10. With the Western rounds of the Rockstar Energy Canadian Motocross Nationals wrapping up in Saskatchewan, the riders and teams get their first break of the season before resuming racing in the East. The Moto Valley Raceway in Regina is a natural flowing track that sweeps through the valley creating an element of elevation. Hard packed soil and long deep ruts make line choice crucial a Moto Valley to keep momentum. Dylan has struggled in the early rounds of the West and has been patiently waiting for his rebound weekend to shift the momentum in a positive direction. Starting the day off with a 3rd place qualifying time, Wright looked to be back on track. In moto 1, Dylan came around the first corner in 7th position and worked his way into 3rd place on lap 9 where he finished out the race giving him a first moto podium of the season. In Moto 2, a 9th place start forced Wright to dig deep to stay in contention for an Overall podium finish. By lap ten, Wright was in 4th place and rode it out to secure himself and the team their first MX2 podium finish of the season. A few rough days leading into Round 4 for Facciotti had him coming into Regina under the weather. A stomach illness held Facciotti back all weekend but he pushed through and put in a solid effort to stay in the Championship points chase. Coming in weak, Colton salvaged energy during qualifiers and finished in the 9th place spot. In Moto 1, Facciotti came around the first corner in 3rd place and settled into that spot until the last lap where he had a big crash shuffling him back to 5th place at the checkers. Questionable to line up in Moto 2 due to fatigue and sore from the crash, Colton soldiered on and lined up for the gate drop. Starting the first lap in 18th, Facciotti pushed all moto and finished the race in a respectable 8th salvaging valuable championship points. Round 3 of the Rockstar Energy Canadian MX Nationals has a setting unlike anything in the world. With the Wild Rose MX park located only minutes from Downtown Calgary, the track offers some incredible views of the YYC skyline. With some early season struggles lingering in Dylan Wrights mind he was looking to shake things off at Round 3 and Dylan started his day qualifying in 4th place. In Moto 1, Dylan went down while in a battle and was unable to catch back up to the lead pack and had to settle for a 7th place finish. In Moto 2, Wright had two big crashes that forced him to pull in for bike repairs, but Dylan wouldn't give up and rode it out for a 16th place finish to salvage points. Technical ruts, big jumps and smooth lines is what the Calgary National is all about. Colton Facciotti's smooth style and precise ruts skills made him a threat for the victory at Round 3. Facciotti's day started out strong by qualifying in 3rd place. In Moto 1, Colton was in a middle of a multi-rider battle the entire moto and settled in for a 4th place finish. In Moto 2, Facciotti started inside the top 10 and would grind it out in through the roost making his way into the 2nd place position where he finished the moto for a 3rd Overall finish. The Rockstar Energy Canadian Motocross Nationals made it's first visit to Prince George, British Columbia where the Blackwater Motocross Park hosted it's first national race. With every new venue comes plenty of anticipation for how the race action will unfold and the fans of Prince George did not leave disappointed. Hoping for a rebound weekend at Round 2, MX2 rider Dylan Wright struggled with bad starts and small crashes throughout his day. In Moto 1, Dylan had to fight his way back to 11th place from dead last. A good start in Moto 2 kept Wright battling within the top 10 and finished out the race in 5th place giving him a 6th Overall on the day. Coming into Round 2 healthy and confident, MX1 rider Colton Facciotti rode to his first overall podium finish of the season in Prince George. In Moto 1, Facciotti went down on the first lap and battled his way from 11th place to 4th place by the checkers. A strong charge from a mid-pack position to finish 3rd in Moto 2 secured Colt and the teams first overall podium of the season.